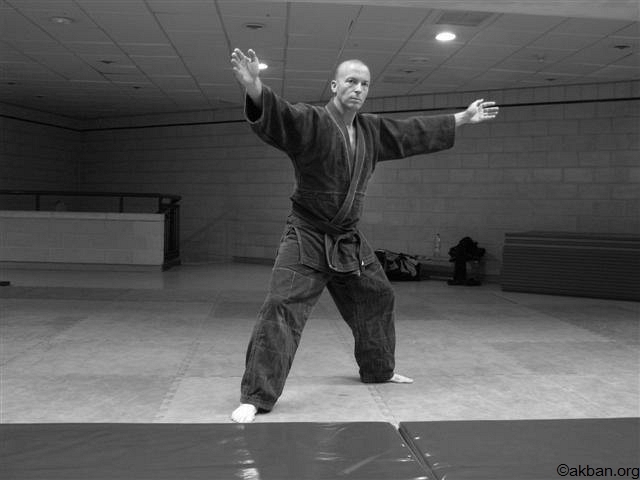 Hira ichimonji no kamae (הירה איצ'ימונג'י), (平文字の構), (first flat line posture), is a Ninjutsu stance used against several opponents. Hira ichimonji deals with protecting oneself or a dear one against a broad angle of possible threats. 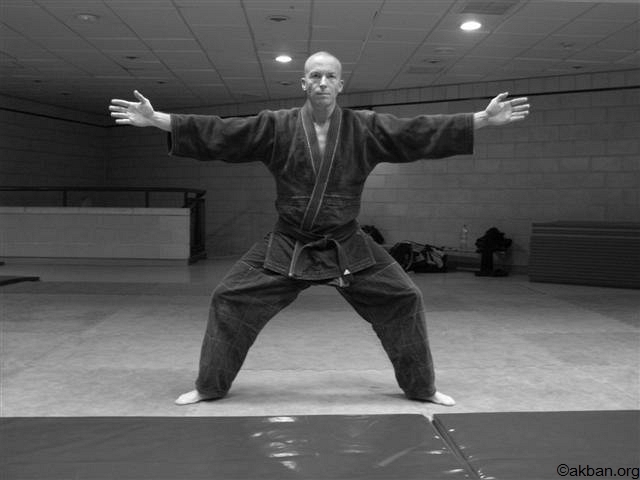 This stance is used by many kata in the Kukishin Ryu martial system. The Hira ichimonji stance has a similar name to Hira no kamae but it differs in uses and appearance. In this posture, both legs are holding the body's weight equally. The legs are posted wide, as if riding a big animal, knee pressure is to the outside, as the knees should be planted solidly in the ground. Both hands are wide open, leaving the chest exposed and presenting a big target on purpose. This pose is calling for an attack from the enemy, usually starting a sequence by inviting the enemy to attack quickly to the center. This posture is a trap and a projection of fighting spirit.